Reliance Industries' most significant recent gas discovery MJ-1 in KG-D6 block may hold 1.4 trillion cubic feet of gas resources, roughly half of the reserves in the block's main gas fields. Located about 2,000 meters below the producing D1-D3 field in the eastern offshore KG-D6 block, MJ-1 may hold contingent resource of between 0.988 Tcf of gas and condensate (low estimate) and 2 Tcf (high estimate), according to the firm's minority partner Niko Resources of Canada. Niko cited an "independent resources evaluation report for the MJ Discovery in the D6 Block in India from Deloitte LLP" to state that the find may hold a best case estimate of 1.4 Tcf of gas and condensate. The estimate compare to the downgraded reserves of 3.10 Tcf in the main Dhirubhai-1 and 3 gas fields, which have been on production for six years now. If proved correct, MJ-1 would the third biggest gas field in KG-D6 after D1&D3 and R-Series which holds about 2 Tcf of recoverable reserves. RIL, which is the operator of the Krishna Godavari basin KG-D6 block with 60 per cent interest, has so far made 19 gas discoveries, of which D1&D3 were put on production in April 2009. MA oil and gas field was put on production in September 2008. The Canadian firm holds 10 per cent interest while the balance 30 per cent is with BP plc of UK. Niko, which had earlier this year put up for sale its stake in the KG-D6 block, got resource estimation done on its own and RIL and BP were not party to the exercise. "Deloitte's best case estimate of gross unrisked contingent resources of 1.4 trillion cubic feet of equivalent relates to the Central (North), Northern and Central (South) fault blocks that were drilled by the MJ-1, MJ-A1, and MJ-A3 wells, based on an estimated areal extent of approximately 24 square kilometres, approximately twice the areal extent of the analogous MA field that is currently producing," it said. Niko went on to state that the Contingent Resources are those quantities of petroleum estimated, as of a given date, to be potentially recoverable from known accumulations using established technology or technology under development, but which are not currently considered to be commercially recoverable due to one or more contingencies. Identifying contingencies, it said "economic volumes have not been established as the costs associated with producing these volumes (capital and operating) have not been determined." 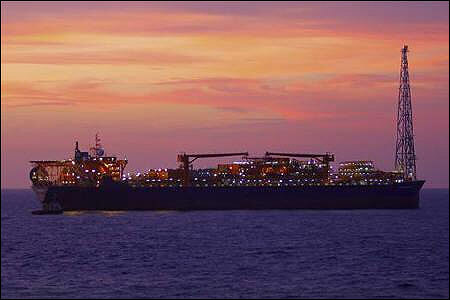 Also, regulatory approval from the Indian government will be required to bring this field on-stream, it said, adding block operator RIL was currently doing appraisal work and development planning work is underway. Elife S7: Has Gionee missed the pricing trick?